Boulder, just twenty-eight miles northwest of Denver, Colorado, started appearing on our radar after we noticed the remarkable amount of accolades the city receives year after year. After we began researching Boulder online we got so excited about what we were learning that we started dreaming of moving there. 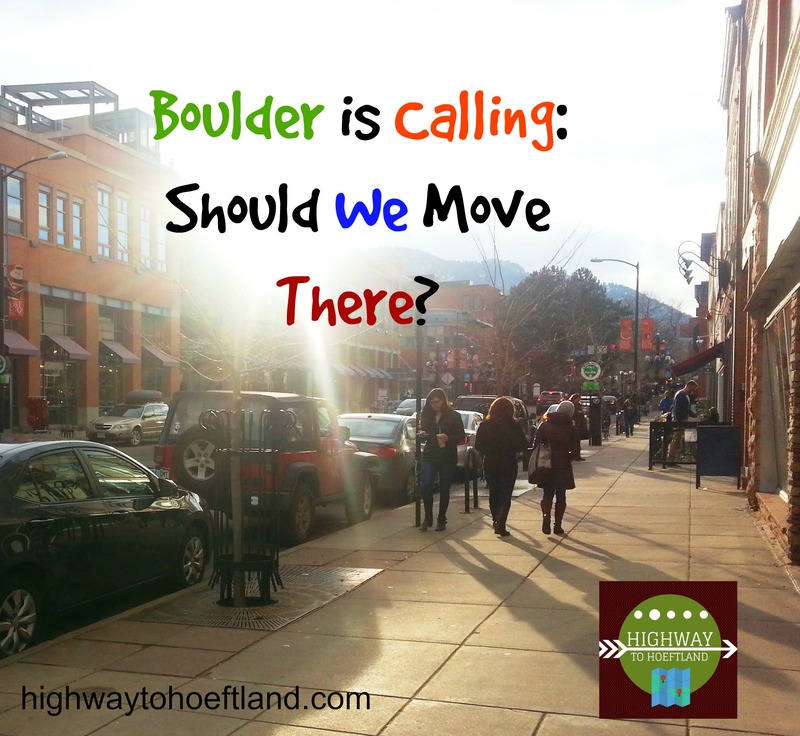 Could Boulder really be that special, we wondered? Before getting too far ahead of ourselves and putting the for sale sign up in the front yard, Mike and I decided to first spend a weekend exploring Boulder, to see if all the positive chatter is true, and if we could see ourselves living in this attractive town. 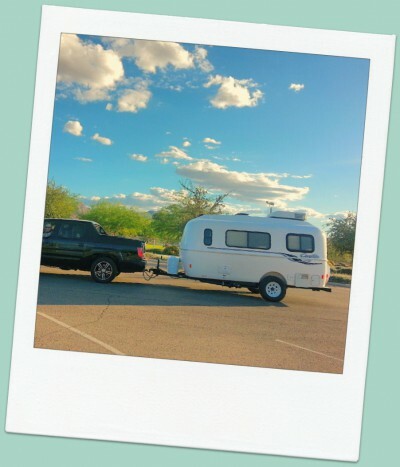 At the end of January, we purchased our plane tickets and headed out, our eyes wide, our hearts eager, and our minds filled with curiosity to investigate the area. Mike, taking a break at the Pearl Street Mall. 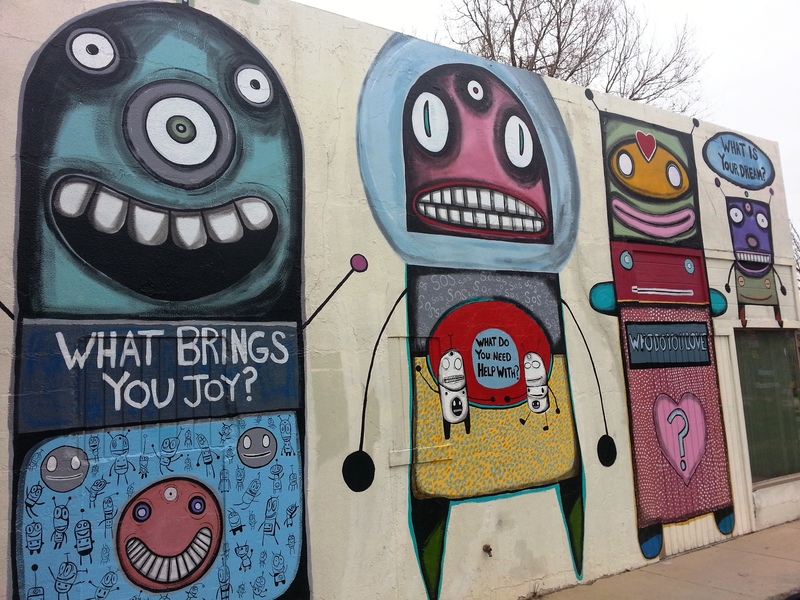 We’re not the only ones that seem to be falling in love with Boulder. The small, but dense city at the edge of the mountains continues to grow every year in popularity and population. As of 2013, the City of Boulder had about 101,808 residents. It’s also unique for its elevation, as it sits higher than most American cities at 5,430 feet. Weather wise, Boulder receives tons of sunshine throughout the year, but they also experience short bursts of ‘winter wonderland’ days as well. 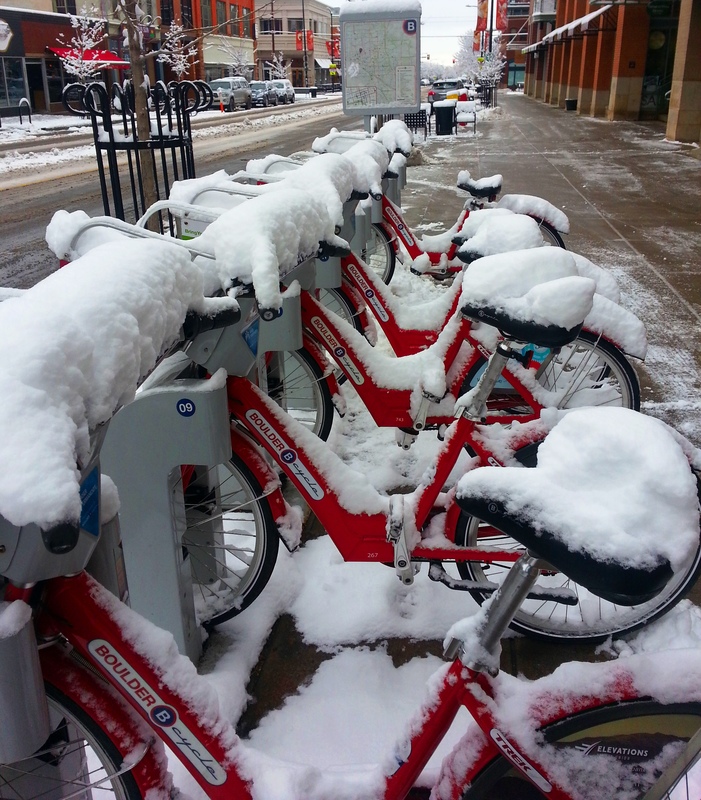 The climate in Boulder varies enough that you’ll never be bored with the seasons. 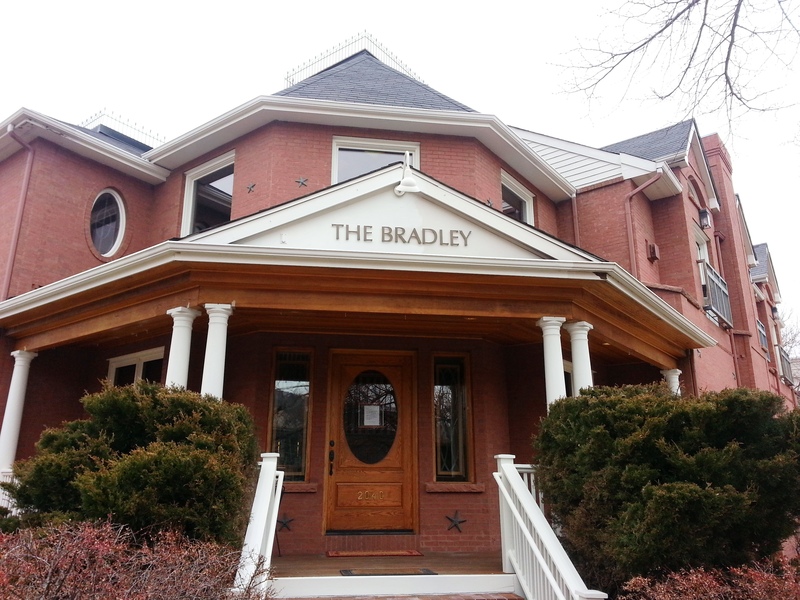 One of Boulder’s greatest attributes is its beautifully preserved, classically renovated, and charming buildings. Architecture full of character dominates the style of most of the streets because they care for and keep up the old brick buildings that you will see all over downtown. The high level of educational attainment of its residents is also impressive —due to Boulder being a college town that features the University of Colorado Boulder. What’s most impressive about the city is the outstanding data on the overall greater well-being and healthiness of people who call this area home. Because of these attributes and more, Boulder definitely materializes as an idyllic place. We spent a Friday, Saturday, and Sunday experiencing what Boulder has to offer. We had a joyful and enlightening trip! However, did we decide to move there, you might be wondering. Well, we were seriously considering a move there, but after visiting the region, it just didn’t feel like a long-term “home” for us. It might have been because it felt a bit geographically isolated, away from all of our family members and almost all of our friends. Additionally, it did not help that the places we’d be interested in moving to were extremely expensive, as the housing market is quite steep in Boulder. Alas, we truly enjoyed our short stay in Boulder and we still feel that the scores of accolades are well deserved; it’s a lovely place. We will definitely be back for a visit (hopefully soon). Below are the places we enjoyed the most during our trip. Room ten at Bradley Boulder Inn. 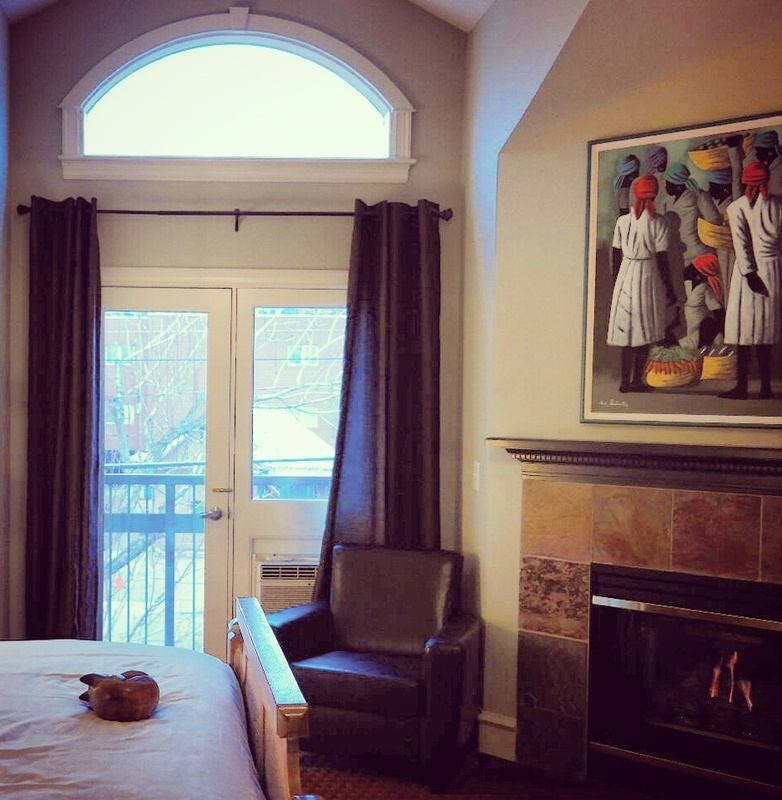 Moreover, the Inn is charming, cozy, clean, and comfortable, with excellent customer service. Our hotel room—number ten—had a Juliette balcony, a gas fireplace that you can conveniently turn on or off with a flip of a switch, and a large and relaxing Jacuzzi tub to soak in each night. Mike and I were ecstatic about the food in Boulder. There are plentiful amounts of excellent restaurants and coffee shops to try; if you’re a foodie, you will not be disappointed. For those looking for high quality, mouth-watering meals, in a comfortable and enjoyable atmosphere, below are a couple of options that we personally loved. 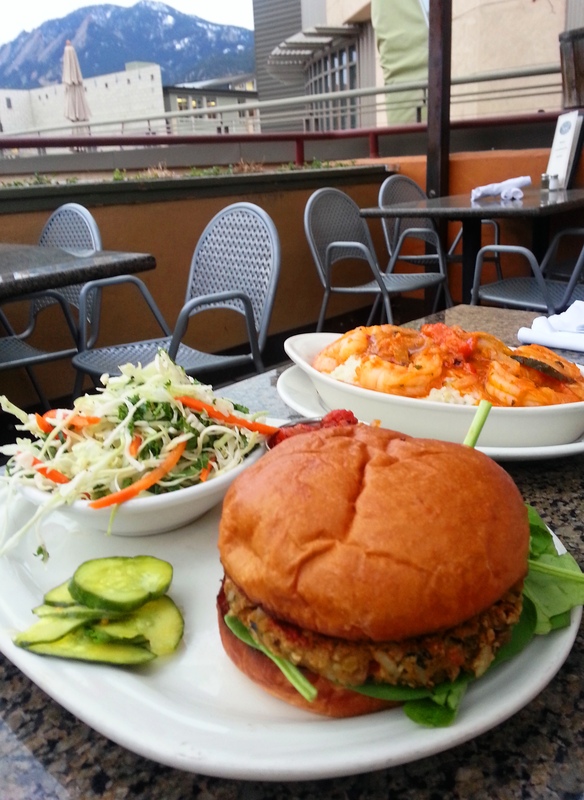 One of the tastiest veggie burgers at the West End Tavern in Boulder. Everything here is excellent. 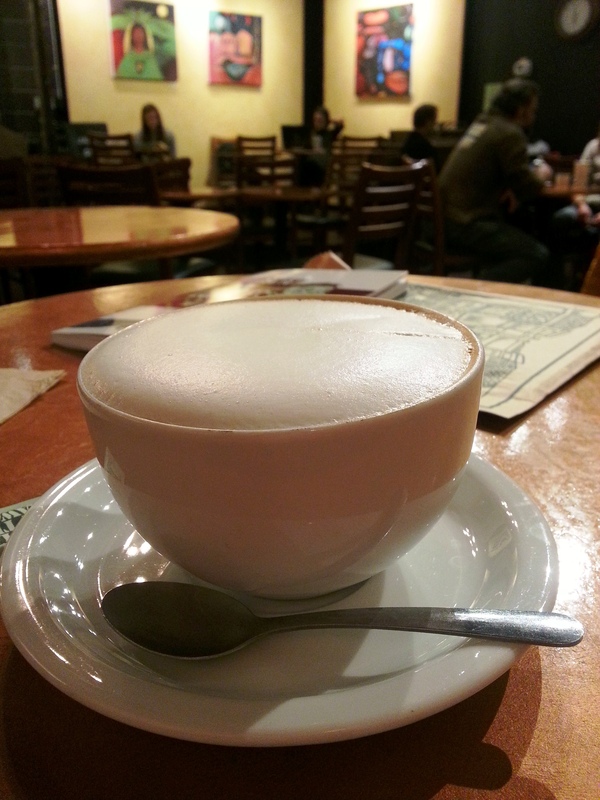 Sipping a cappuccino at the Laughing Goat. Cozy ambiance. 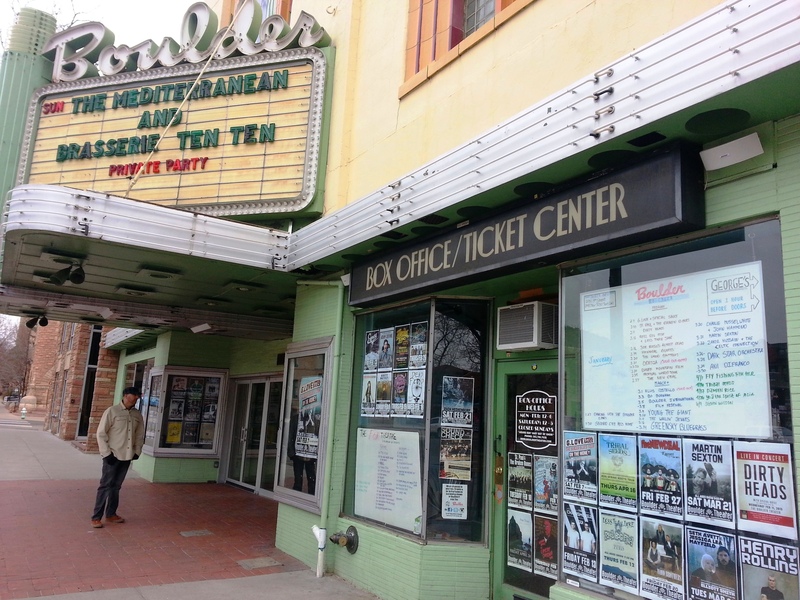 Depending on your unique interests, you can find all sorts of varied activities to enjoy while in Boulder. We spent a lot of our time checking out the many locally operated shops lining the prominent Pearl Street Mall, including a marvelous three-story independently owned bookstore that’s been in business since the 70’s. In many cities and towns across the United States, charming old stores have given way to modern strip malls and large warehouse looking buildings that lack any character or romanticism. This is not the case in Boulder, and especially not at their beloved Boulder Bookstore. 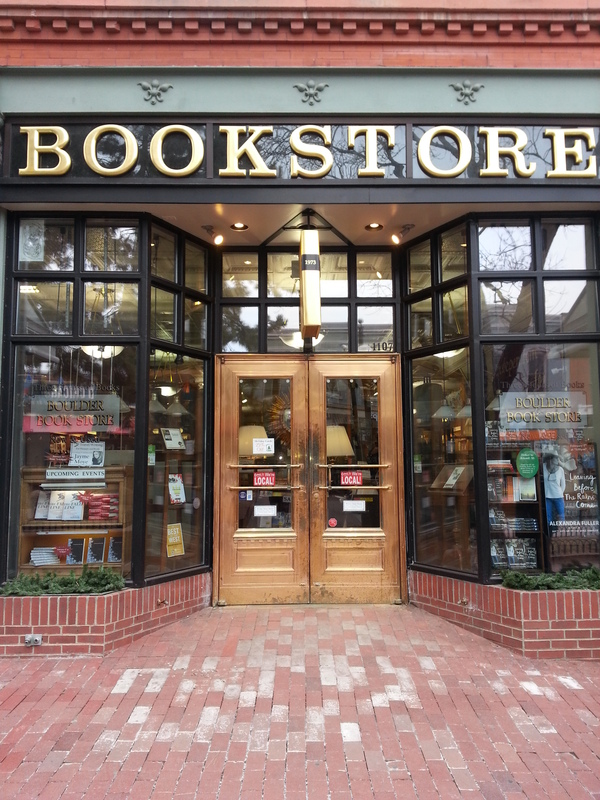 The Boulder Bookstore is worth checking out, and if you get the opportunity, they also hold writers’ workshops and local novelists’ meets and greets at this store. 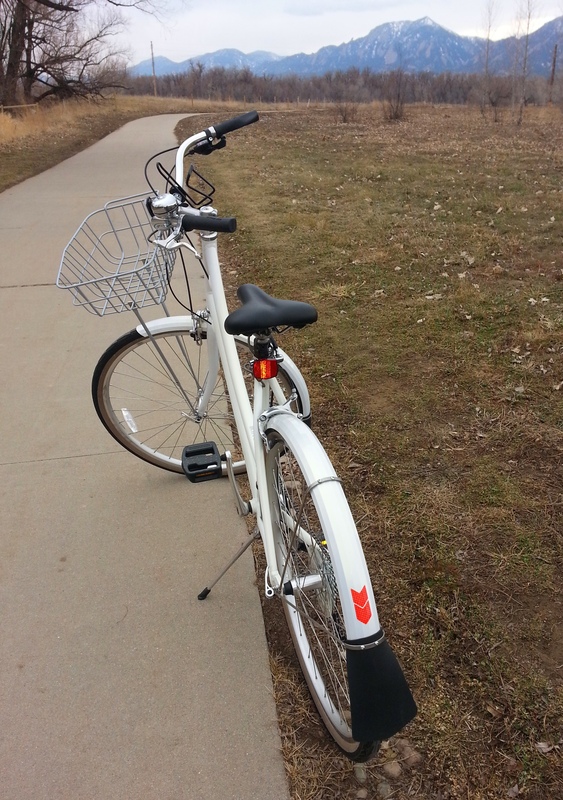 The Boulder Creek Path and a rented bike from University Bikes. Another great activity to enjoy while in Boulder is the Boulder Creek Path, a paved and easy trail, about 5.5 miles that goes through the town. Since Boulder is an especially bike friendly town, we rented bikes for $20.00 per day from University Bikes, and rode along a beautiful creek. Our route was a car-free path that took us over quaint bridges, with views of mountains, trees, and wildlife—all while staying near the downtown. There were many diverse people utilizing the path. It appears to be a local favorite. We even saw musicians sitting on a bench, playing the harmonica, creek-side. By riding along the Boulder Creek path, you get lots of exercise, fresh air, beautiful scenery, and a unique experience. These are bike rentals available all over town via B-Cycle Bikes, a non-profit. 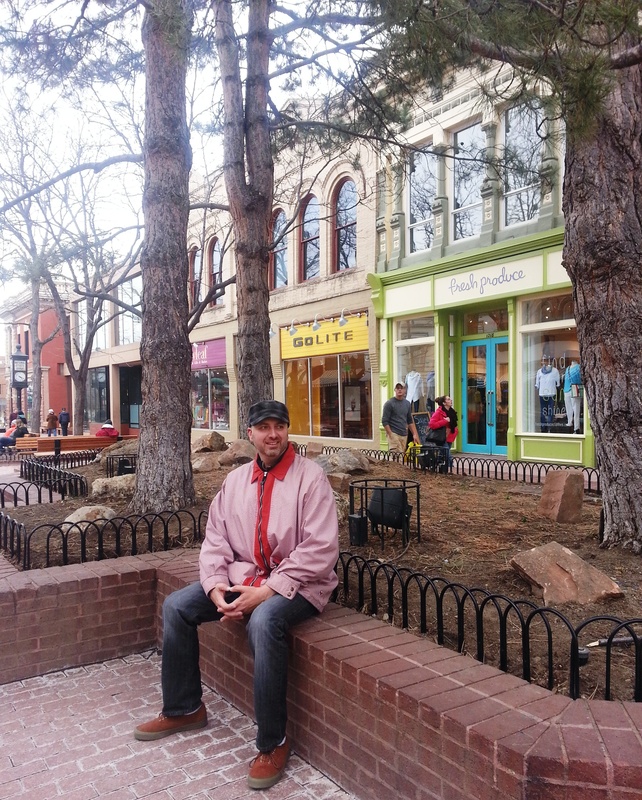 We admire Boulder for its charm and character. We also appreciate the community efforts around preserving nature and proactively increasing and maintaining the health of its people. Boulder strives to help bicyclists and walkers in the city feel valued and safe—something that is clearly seen all over town. We are impressed with the large array of high quality, local food in the area. We respect Boulder’s ability to enter the modern age with a focus on quality over quantity, while still maintaining its economic vitality. The community has accomplished so much, and all of it with a nod to the beauty of the architecture of the past. The citizens of Boulder sure are lucky. So too are the people who get to visit and explore it. Who knows, maybe someday we’ll move there; never say never! What do you like about Fort Collins? I don’t know anything about it but I’m interested in learning more. So you lived in Las Vegas for four years: Did you like LV and why did you move? (If you don’t mind me asking). Sharron, that’s a great point. In fact, I was just sitting on the back patio with the dog, enjoying the beautiful sunshine and comfortable temperature. We’re having perfect weather today! Thanks very much for your positive feedback. Thanks for your comment. I’m glad you liked the post. 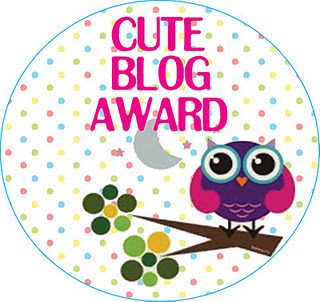 I’ll take a look at your blog and see what it’s all about. Thanks again, Kristin. Oh my, that post was so beautifully written and such nice visuals!! I truly enjoyed reading about that place! You really have a talent and you should continue writing! Oh good! I’m very glad. Thanks again!